You'll need an investment property mortgage if you are buying - selling - holding rental properties and own more than five rental units at the time of financing. You may qualify for a residential rental property mortgage loan at best rates for up to four rental units -- whether you're a speculative buyer or a buy and hold real estate investor. This applies to bank rental property mortgage refinance too. So, why not ask us if you qualify for an investment property loan. 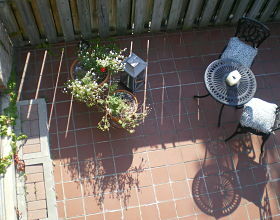 And, what are best rental properties to buy? Ideally, the best rental properties to buy are those that still qualify for the lowest investment property loan interest rate (up to 4 rental doors) and can carry it's own debt and expenses. You can get mortgages rental property loans up to 80% to buy -- or, a rental property mortgage refinance up to 80%. After that it gets a little more expensive. A visitor to my website asks: Do i need proof of income to qualify for investment property mortgage - the answer is NO and YES. When working on rental property loans I look at existing rents, or if a purchase market rents and use expenses to see if the property carries itself. If there is a shortfall, then it falls on the property owner to supplement the amount of income needed to fill the gap. what are residential rental property loans ? 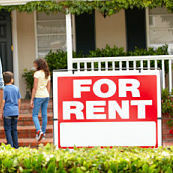 Residential mortgages rental property -- what does that mean for you? You get best residential mortgages interest rates at the time of your application -- that's significant. But, there are limitations. Depending on your application, you can get up to 4 rental properties with an "A" lender -- after that you will need a residential investment property mortgage at slightly higher rates. At this point, your properties are considered a residential commercial/rental portfolio. If that fails, you can go down the easier but a bit more expensive route, private lending. How to get a mortgage with bad credit for second property? Read Top Stories below about Rental property loans from private lenders when private mortgage financing is needed. As you can see, you do have investment properties financing options. Our many clients appreciate our mortgage help getting them a best mortgage deal on their rental property. Have lots of equity in your principal residence? With investment properties loans you can refinance home mortgage and use the proceeds for a down payment on the rental property you're planning to buy. This is the fastest and best way to get the money you need at residential interest rates. Because you are using this money to invest -- your mortgage interest rental property portion of expense can be written off to reduce your personal taxes. If you need more expensive or private mortgage lenders financing - mortgage interest and closing costs on your rental property loans qualify as an investment expense on your tax returns. Refinancing home mortgage can be a good strategy to get a down payment to buy a rental property. Private mortgage lenders can be more flexible in approving rental property mortgage when banks or alternative lenders said NO. Rental property loans from private lenders. Thank you for visiting my mortgage resource site. Please visit investment property mortgage and the whole site often for information updates. Share with your family and friends using the comments box and easy to use social media buttons.